Think like a hacker. There are SO many opportunities. For starters, all of your owners information is available. That includes bank account numbers, social security numbers, email addresses, passwords to access the software, and confidential accounting records. That is pure gold for someone wanting to immediately start draining bank accounts. And that is just the beginning. When a potential tenant makes a rental application, they provide EVERYTHING a computer hacker needs to steal their identity. Name, social security numbers, addresses, employment, cell phone numbers, references, wages, and much, much more. That includes all of the tenants you have ever managed and even the ones that simply applied to rent from you. It’s all in your property management software database. How about the vendors that you do business with? You have all of their information as well. If you pay their bank account directly, you are responsible for their banking info, too. What about your own data? That is all online as well, and you could have your identity stolen too. Once that is done, it could take years to get it back and to stop all of the instances of someone using your personal information throughout the dark web. 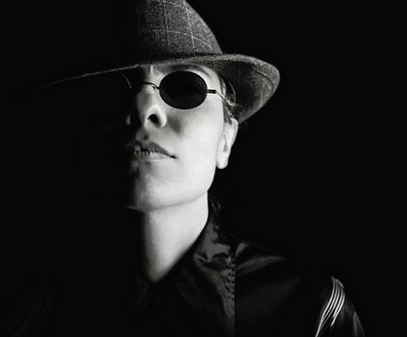 A property management company is one-stop-shopping for a hacker. There is so much more data in one place, so it is a prime target for nefarious criminals. I understand that you are busy, and feel that you are protected. Why do you feel protected? Because a salesperson told you that you have nothing to worry about. Don’t believe it! When you purchase a web-based property management software, you are probably overwhelmed by the security pitch designed to put your mind at ease. You’ll hear things like “we have redundant servers”, “we have never had a data breach”, “we have triple firewall protection”, “blah, blah, blah”. Then you think, “wow, they could never have a data breach with all of that!”. Sears, Kmart, Delta Air Lines, Best Buy – lumped together because it was a customer service company managing their clients – sound familiar? Uber – 57 million riders and drivers data stolen from their GitHub repository. Well, I could go on and on, but you get the point. If these huge companies with all of their sophisticated protection could be breached, do you ‘really’ think your online property management software company is better? And those figures don’t even include major attacks on universities, government agencies, and our ‘grid’. Our grid? Yes, the Russians and other countries may already be able to take down large portions of the United States power grid, if not all of it. Think of all the companies affected by Hurricane Florence on the East Coast. They may not have power for weeks. That means the property management companies cannot access their online tenant records, their owner’s accounting, banking, tenant screening, and more. They are basically ‘out of business’ until further notice. I just want you to think about this. Even as busy are you are managing property, please take a moment to think about the precious data that you are entrusting to people you don’t even know. Of course you should change your passwords often and take other precautions, but is that really enough? Find out if you can download your important customer data to your own computer on a regular basis. Maybe you don’t even need an expensive web-based product when a desktop version will do just as well … just something to think about.